Chuck Negron was one of three lead singers for Three Dog Night, which had a whopping twenty-one Top Forty songs between 1969 and 1975. Three of these hit Number One – “Mama Told Me (Not To Come)”, “Black and White”, and “Joy to the World”, the latter featuring Negron’s vocals and the familiar opening line “Jeremiah was a bullfrog”. He also sang lead vocals on “One”, “Eli’s Coming”, “An Old-Fashioned Love Song”, and “Easy to be Hard”. These, like most of Three Dog Night’s songs, were covers, often in very different arrangements from the originals. 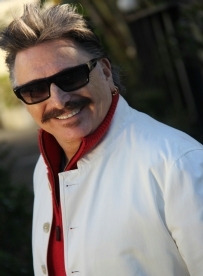 Chuck Negron: A great trip down memory lane of a time of great music, and an exciting time in Americana, the Sixties. You know, Gary Lewis & The Playboys bring me back unbelievable memories. Mark Lindsay from Paul Revere & The Raiders… it’s a great, great show. And we have Gary Puckett & The Union Gap, and me, and then Flo and Eddie and The Turtles. It’s just a fun, fun show filled with like twenty plus hits. It’s a lot of fun. JM: Back in the day, did you have any notable interactions with some of the guys that are now on this tour? CN: Well, Mark Volman was a neighbor of mine. He lived right down the street from me, so I would run into him. Plus we had the same management, so we toured together. 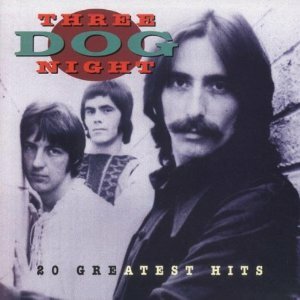 Three Dog Night toured with The Turtles. Mark Lindsay didn’t live far from me, so I used to see him around Laurel Canyon, but we never worked together. Gary Puckett and I have worked together, have done shows together, as have Gary Lewis & The Playboys and myself. JM: Regarding Three Dog Night, you guys seemed to have a great ear for material. How did you choose which songs to record? CN: For me, you know I came from an era of the Brill Building, of Tin Pan Alley, when everything was about the song. I mean, all the acts, all the doo wop acts, all the pop acts of the day were working with people like Leiber and Stoller, Goffin and King, Mann and Weil, Bacharach and David. So when Three Dog Night came together and we started writing, I didn’t feel that the songs were strong enough. So I went to the publishers that handled these great, great writers, and I found some songs. I brought in “One”, and “Don’t Make Promises” from Tim Hardin, and a couple of other songs from the first album. The guys they were good, and when “One” became a big hit, the next album the guys started looking for tunes. On that album I brought in “Easy to be Hard” and “Eli’s Coming” and a song by a new writing team Elton John and Bernie Taupin [laughs]. I recorded the first song ever recorded by Elton and Bernie. So, you know, it just came down to being brought up looking and listening to good songs. So when I was in a position where I needed good songs, I knew where to go and I was lucky, I had good ears. JM: How did the arrangements for the songs come together? CN: That was a collaborative effort by the musicians and the singers and the producers. I mean, we really all got in there and really hashed out these songs until the arrangements were great. And we ended up getting into a real groove on tracks, and how to get these songs out. You know, it was our time. We weren’t making any mistakes. We were in there, we just had a good thing and a good team, and we did it ourselves. We were totally self-contained. JM: So you guys didn’t use session musicians at all? CN: No, no, no. We had four guys, and that was it. You know, every once in a while we brought in strings or we had horns come in. Actually the horns we had come in were the guys from Chicago. Yeah, we were totally self-contained. A totally self-contained band. We didn’t have any A&R guys. We did the arrangements, we picked the songs. We had no interference. We just had the skills. JM: You personally have been open about struggles with drugs you’ve had, which are thankfully in the past now. What’s the short version of how that all went down? CN: Well, it was the Sixties. People were experimenting with drugs. I did, and I didn’t get to walk away. The fact is that there are some people that have addictive personalities. Some genetically. You’re just predisposed. I was one of those, and I got myself in trouble. So the short story is don’t even try drugs, and maybe you’ll get away [laughs]. CN: Keep a day job [laughs]. No. Work hard, be resilient. You must be resilient. But always be able to take care of yourself, you know, to earn a living, to be productive. You can’t just say you’re going to be a musician and then not do anything to be a productive member of society. You have to do something that makes yourself feel good when the times are bad in music. JM: What are your plans, musical or otherwise for the near future? CN: Well, I’ve got a Third Edition of the book [Three Dog Nightmare] that just came out. I’ve got a new CD that I’m working on and doing several new tunes. 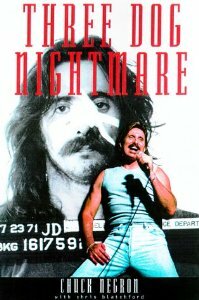 I also have three Three Dog Night tunes that have never been released that I’m bringing up to snuff, because they weren’t finished. That’s why they weren’t released, they were never finished. So I’m doing a bunch of stuff, and this tour, we’re doing six nights a week. So this tour is grueling. Right now, that’s all we’re doing, is this tour. I’m also doing Kickstarter, which is a fan-based thing where fans make donations for gifts. They go from a dollar up to ten thousand dollars. The ten thousand dollar thing would be being brought to a show and playing live onstage. We’re doing that to try and get this album off the ground. JM: Do you want to set the record straight on anything? Or maybe it’s all in the book? CN: No, nothing I can think of that has irked me, you know, that I know about [laughs]. I mean, there could be a lot out there but I just don’t know about it. JM: An obligatory question, what would it take for you to get back together with Danny [Hutton] and Cory [Wells, the other two original lead vocalists for Three Dog Night]? CN: You know, them just asking. And then planning on a special tour, planning on something special, a nice production. You know, not just sliding in there and going back to work, which was what they offered me, I don’t know, fifteen years ago. To come back and just kind of anonymously flow back into the thing like I haven’t been gone, which is not something I’m interested in. JM: Well, it would be great if you could. CN: It would be great. I would love to do it for the fans. I would love to do it.